In the eastern Pyrenees, not far from Andorra, lies the Carlit Massif and the Catalan Pyrenees Regional Park. It is a granite massif, filled with plenty of small lakes, making for very pretty scenery. The refuges are not all guarded and are often situated on the edge of the forest. This is an area of the Pyrenees worthy of discovery. 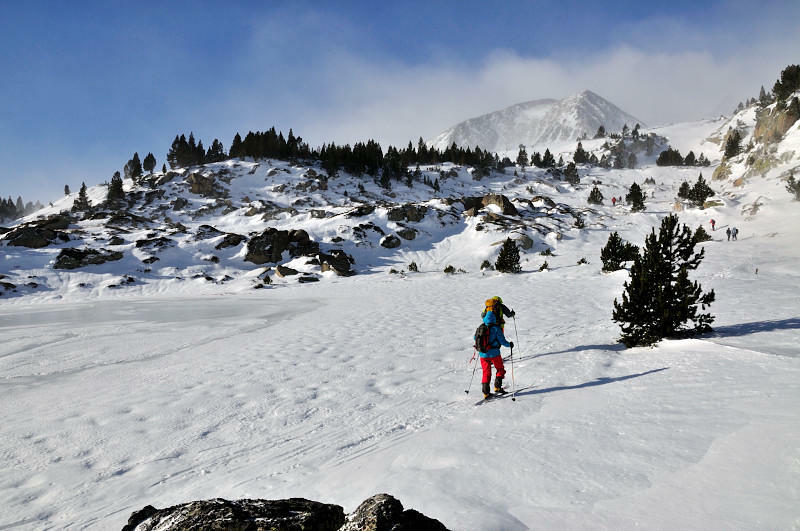 Price: 1395€pp which includes six days ski touring with a qualified UIAGM high mountain guide, 7 nights comfortable gite accommodation, all dinners, breakfasts and picnic lunches, transfer from Toulouse or Carcassonne and return. Extras: Lift passes, transfers during week, hire gear (180€ ski/boot hire, 70€ avalanche pack). 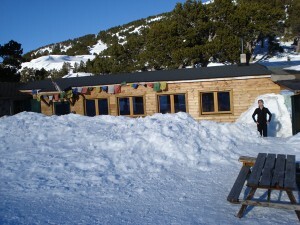 Day One: We transfer to Porté-Puymorens and spend the night in a hotel there. Day Two: A taxi takes us to the Puymorens Pass at 1920m and from there we head up via the Coma d'en Garcia for the ascent to the pass of the same name, reaching 2534m. Descent to the Refuge des Bésines at 2104m. This is not always guarded so we'll take provisions as necessary. Day Three: A traverse across to the Refuge de Camporells (2250m) via two high passes, the Porteille de Lanous (2500m) and the Porteille de la Grava (2426m). 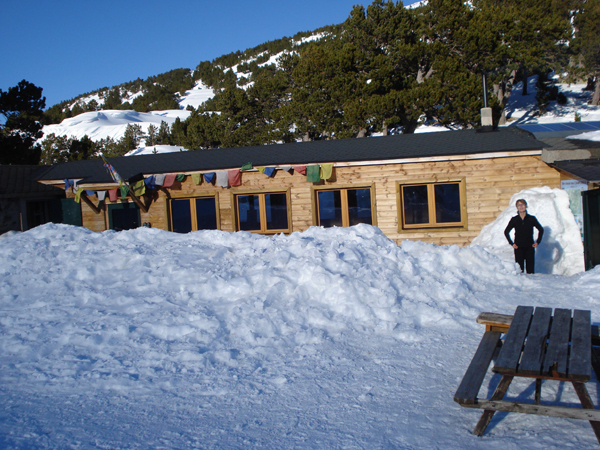 Day Four: Staying a second night in the Refuge de Camporells we have a couple of good options to take advantage of this magnificent location. 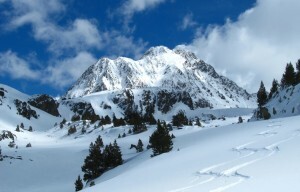 These could include the Camporells Peak or the Pic de la Porteilla Gran (2765m). Day Five: Today we tackle the ascension of the Puig Péric (2810m) and the descent towards the Lac des Bouillouses. We make our way around the lake in a lovely pine forest and reach the Refuge des Bouillouses (2000m). Day Six: An up and back day for our ascent of the Pic Carlit (2921m) which has a couloir to reach the summit. 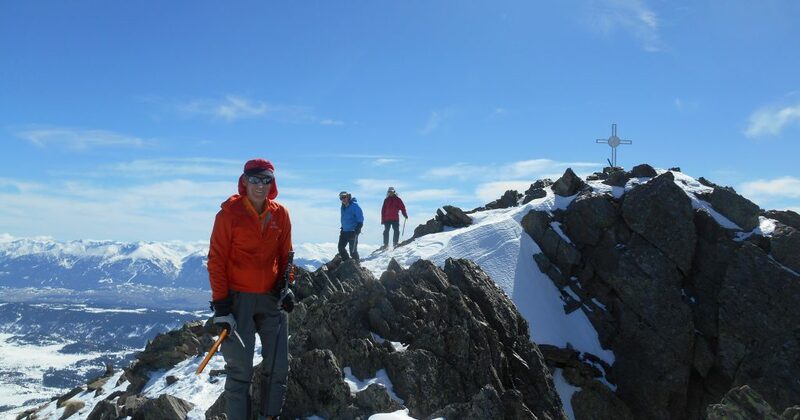 We traverse the Carlit desert to reach the peak (this is the itinerary of the Pyrenean High Route in summer). Return to the Refuge des Bouillouses. Day Seven: We head out for a final summit, the Puig Occidental du Coll Roig (2833m) and then return to Porté Puymorens and our hotel by a lovely wild side of this mountain.